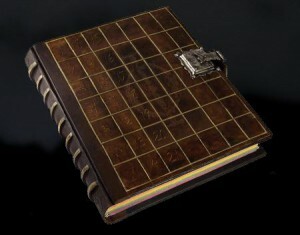 Book of Phi – Sports. 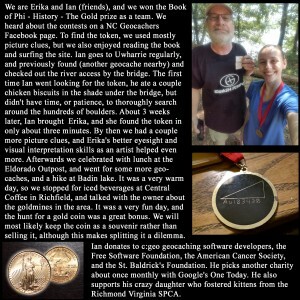 Congratulations goes out to Erika & Ian for finding the Book of Phi – History official token. 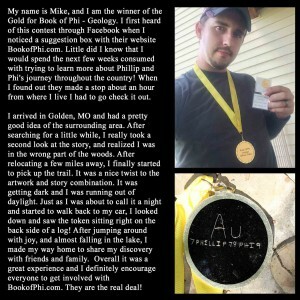 It was after the contest was officially over, but SeventyNine LLC sent them the gold coin anyway. . .. because that’s how we do things. 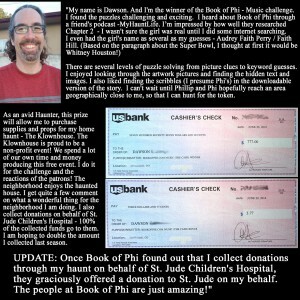 Congratulations goes out to Dawson for winning the Book of Phi – Music Cash! 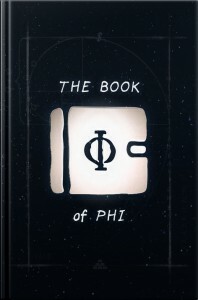 Book Of Phi – Music is Released, With New Cash ($777 + $3.77) & Gold (0.25oz) to Win! 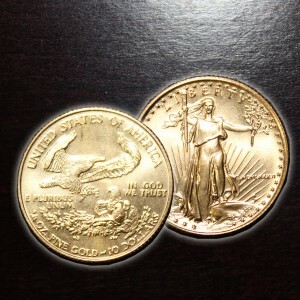 7 new pages and 7 new pictures are there to study for a chance to win The Cash ($777 + $3.77) or The Gold (0.25oz American Eagle 24k gold coin). 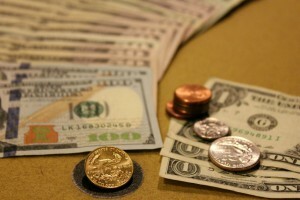 This isn’t a contest of chance, but rather one of skill. 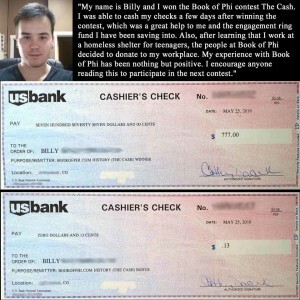 Not only will The Book of Phi entertain you for hours, but you can also win cash and gold for being clever. This is the entertainment product you wished existed. Go get it!